We currently have a selection of Portable Windows Apps available to the public. All for FREE and no need to install. Just download and run. Watch this page for more updates. Like our Facebook page for exclusive updates and offers. Do you want more website traffic? Need more hits for your site? This simple, portable and FREE application is just the thing you need. It’s very easy and simple to use! 1. Enter your website address in the designated area. 2. Select the minimum and maximum time you want each page to be viewed. 3. Click on "Start Crawling". You can do one website or multiple websites, by simply repeating the steps above. 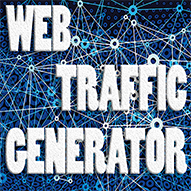 The Website Traffic Generator works only on internal links, which means that it checks each web page for any links that are related to your site and it will automatically add them to the list of pages to crawl. If you have links to other (external) websites, these won't be added to the crawl. 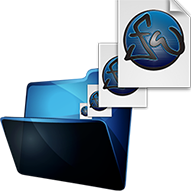 This is a FREE Windows 7, 8 and 10 application that allows you to resize a folder of images, including sub folders of images all at once. Handy if you have a lot of images that need to be resized. Cryptic Message is an encryption/decryption app. It can be used to send coded text messages or emails right from your phone. Don’t let governments and telecommunications companies store your information unwillingly. Exchange communications privately and securely between friends, family or work. Encrypt messages using words, numbers or a combination of both. To encrypt, simply type your message and select a password. Press the encrypt button to display your encoded message. Similarly, to decrypt your message, copy the encoded message and enter the chosen password, then press the decrypt button. Do you have a friend that doesn't have a Windows phone? 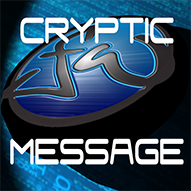 Want to download the portable version of Cryptic Message? Use our FREE online encryption/decryption service here. 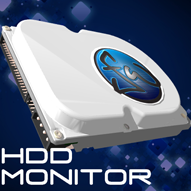 HDD Monitor is a free program designed to monitor the available space on a hard drive, and can be used on as many drives as you wish. These can be local drives or network drives. You can set individual alert levels for each drive, and you can select how often you would like to receive the warning (anywhere from 1 hour to 9999 hours!) This download contains two files, a custom control in a DLL, and the application itself. The program will ask you for an email address, which will be saved in an encrypted file called HDDMonitor.config, and this is to protect your credentials.